Calling all Soul Aligned Leader™ Entrepreneurs, Coaches and Visionary Purpose-Driven Individuals! You know that you have intuitive abilities, and you have been aligning and expanding them, but you want to fine-tune your abilities even further. You want to be able to connect directly to your spirit guides and Source and finally master your alignment to your soul’s gifts so that you can have the time freedom you've been dreaming of. You want to be able to ground your abilities through soul aligned actions in your business, while consciously creating and impacting millions, while being able to speak to Source directly. You are a natural born leader and expert in your industry, but feel that it's time to step it up even further than what you've become. You have created AMAZING momentum already, and you are expanding so fast, but you feel like it's time for you to just explode to your highest potential and further expand your psychic abilities. You know that your business needs to scale further than what you are doing right now, as you want to impact more people. You want to become a legendary pioneer, leader, healer, and teacher, so that on your dying breath you can say you have been of great service to humanity, the Earth, and the Universe. You know that you can manifest some amazing stuff, and it’s becoming more consistent as you align to your purposeful work. You feel in your heart that if you could just figure out how to activate and expand your gifts, you can have clarity as you channel the new self-expression that is starting to flow through you. You know you will be able to easily create the divine wealth abundance you deserve and more! You feel it deep in your soul that there’s still "something missing" to take you to the next level...but what? Here’s what’s missing…expansion into your success and spiritual mindset through soul alignment! The way to get there is through your personal soul alignment blueprints and being energetically supported by your guides as you are becoming initiated from Source to be of a higher level service into your soul's purpose gift! I spent 10 years as a Psychic Guru Monk in service helping thousands of people through healings, psychic readings, yoga practice and meditation. But despite all of the success, money, and recognition that I had, I felt tired, overworked and completely misaligned. Then, after leaving the spiritual group I was in, I discovered the reason why I felt misaligned - I was creating a purpose for someone else and not for my own soul. Now, after reading thousands of people’s soul’s as an Intuitive Soul Alignment Coach, I invented my BEing Alohi Method(TM) and system that exponentially activates and expands you into your true soul's purpose, bringing infinite wealth and abundance in flow utilizing your unique super power. I've found that once you discover your soul alignment blueprints, they are the foundational roadmap to up-leveling your 10 life areas and gaining more visibility as a leader through BIG media opportunities like Huffington Post, Podcasts, magazines, and TV shows! So why are you not stepping it up completely? Because you are not in complete soul and business alignment, and you don't have an understanding of your soul alignment blueprints. You are in need of the energetic support from the spirit realm and your mastermind "besties," who will allow you to transition into aligning and mastering your soul's gifts! I've experimented with my own unique soul aligned manifestations, and I’ve finally figured out how everyone's manifesting and soul alignment blueprints really work! I've figured out how to create a soul aligned lifestyle! When I first started my business, I had this passionate belief that if you can get in alignment to your soul's gifts, you can be successful, and I've proved it to myself that this is absolutely TRUE! This discovery has led me to create my Soul Aligned Manifestation Method™ , Activate Your Highest Psychic Gifts System™, and BEing Alohi Method.™ These methods and concepts have helped me receive abundance in a period of just 2 months with consistent 5-6 figures, and I KNOW it can do the same for you! My dream home, move my family to Maui, and manifest whatever I desire quickly. Activating the grids and starting to create the Maui Light Collective. More than 40 joint venture partnerships and guest speaker opportunities. 10 guest blogging and print magazine opportunities on Huffington Post, Thrive Global, Lady Boss Blogger, and Kharisma Magazine, and influencers are still sending me invitations! Unique opportunities to meet offline and online celebrities, along with amazing entrepreneurs in person. Guest spot interviews in over 10+ podcasts such as Entrepreneur on Fire with John Lee Dumas, Heart Soul & Hustle with Zach Spuckler, Clarity Confessions, Sleep Like a Boss, and more! When you align to your super power in addition to your manifesting blueprints, miracles will start to happen! How to align and master your super power, which will finally give you the missing pieces in your life and business. How to use your super power so that you can start manifesting quickly and consistently, while allowing Source and your guides to support you as you move from free will to divine will! If you have already taken my Soul Aligned Manifestation Method™ Group Program and my Activate and Expand Your Highest Psychic Gifts™ Group Programs, then this will be the DEEPEST level of your mastery! You will be tested by Source to see if you are truly ready for this and be asked to let go of the personality of "who you think you are." If you feel that you are ready to do so, then this is the program for you! This program is going to move every part of your soul and ego and help you to become more of your integrated multi-dimensional self. As you up-level all 10 of your life areas and step into your soul aligned leadership, we will initiate you into becoming a true leader for Earth and creating your unique self-expression. We will work on connecting you with all of the spiritual realm in a much deeper and supportive way. You will be streaming higher 5D frequencies of Maui's grids to activate the City of Light, and you will be creating streams in your own community and industry. All of this is designed to teach you how to use your soul alignment blueprints and activations, so you can receive wealth, expansive abundance and connection to Source in record time! So how is this different from other activations or manifestation programs you've seen out there? I’m not going to give you ways for "guessing" how to manifest or develop your psychic gifts while becoming your multi-dimensional self! We are going to take specific soul aligned actions to get you to feel confident in duplicating your own results, activating your super power, and reconnecting and stepping into your soul aligned leadership, so you can use them in your life and business. I’m going to show you simple living as a multi-dimensional being while utilizing your own personal soul’s gifts to success! This special program is starting NOW at an introductory price of just $1,497 or 3 easy payments of $547. This program is worth over $8,500! You can start in the membership portal right away! If you want direct guidance from Source in a group of soul aligned leaders that will push you to expand and align, then THIS IS IT!!! Complete alignment to your own unique, energetic signature of your super power and manifesting blueprints, leaving you with a complete roadmap to success. The discovery of what your divine mission is here on Earth and the Universe, what your soul specializes in, and which gifts to use that will bring you unlimited wealth and divine abundance as a multi-dimensional being. The amazing feeling of finding your personal soul aligned manifestation and soul's purpose gifts, which will help you develop your psychic abilities even more. How to tap into your "HIGHEST" super power, which will bring in infinite abundance and help you stand out in your industry. The full integration of your multi-dimensional being, initiation to BEing Source, stepping into your soul aligned leadership and creating your unique city of light in your community and industry. If you’re ready, I’ll share with YOU my secrets to attracting media opportunities instantaneously and in record time! Learn how to align to your soul and get back into your heart to uncover your true soul’s desires. Practice doing specific meditation postures that specifically help to open up your Heart Chakra and reconnect to Source. Focus on up-leveling the rest and relaxation life areas, while nurturing love and passion for yourself. Learn how to use the Polarity of Money Exercise to be confident about your money mindset. Focus on up-leveling your spiritual development life area to start to expand and set a strong spiritual mindset. Learn how to align to your 3rd Eye to see beyond the unseen and to uncover your psychic abilities. Practice doing specific meditation postures that specifically help to open up your 3rd Eye Chakra and start to channel Source information. Gain clarity on your true purpose and your deeper light and dark why, while setting your upper limit goals for success. Start to welcome and receive higher level of support from your "biz besties," guides, and ancestors. Ask your spiritual and business team to support you. Focus on up-leveling your relationships with family and friends/personal life areas and doing what you love. Become more disciplined in your mindset journaling and take daily soul aligned action to your specific soul alignment blueprints to start aligning to your super power. Activate all your psychic abilities through your major "clairs" according to your super power. Focus on up-leveling your personal development life area and leveraging your gifts. Week 5: Creating Your "New Normal"
Reconnect with your Inner Circle Spirit Guides, soul group, and grid work, which will help you redefine your time freedom and money mindset. Learn how to create divine programs and services that sell out. Focus on up-leveling your finances life area and polarity of money. Remembrance of your soul and integrating all of your soul’s gifts with the personality of your body and 3rd dimensional world. Learn how to embrace multi-dimensional living in 6th, 7th, 8th, 9th, 10th dimensional levels of the soul. Learn how to shift into the right parallel realities and live in alignment with your Master Teacher and Spirit Guides. Focus on up-leveling partnerships life area and soul group. Initiation to your Divine Mission. Learn all the foundations with the Divine. Introduction to the Leumerian Light and Hawaiian Bowl of Rainbow Light. Learning discernment, compassion, and moving past suffering to come back into neutrality. Focus on up-leveling the Source Connection life area and transition from free will to divine will. One personal clearing of invisible blocks: choose one of my Level 1 or Level 2 clearings, which are deep karmic clearings of your 5D and 4D blocks, which can be stopping you from BEing Source. Receive a video recording of your unique Inner Circle Spirit Guides' profiles to help you know how to directly speak to your Inner Circle Spirit Guides. 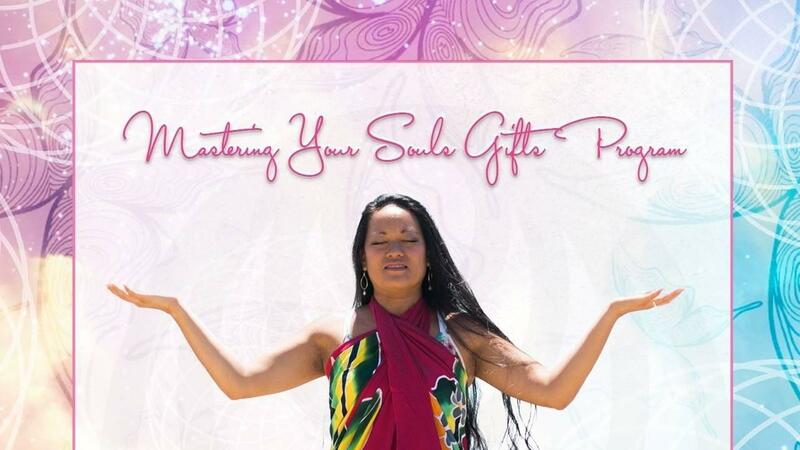 The VIP Mastering Your Soul's Gifts Program Option is just $2,497 or 5 easy payments of $597! Learn how to create and expand into your success and spiritual mindset to manifest anything that you desire! The value is PRICELESS as you will experience a life transformation that cannot be measured. Full Soul Alignment Blueprints ($997 Value): Recordings and PDF of your FULL Soul Alignment Blueprints. This gives you a complete overview of who you are at soul level, who you help, why you do what you do, what is your niche, your soul aligned messaging, your soul’s biz model to create the right soul aligned offers that sell out, and how to attract your community and tribe. You will also be introduced to your specific super power that tells you what to align to and create unlimited wealth and abundance. While your life challenges tell you the exact outcome and transformations you give to your clients, you'll learn how important it is to align to your super power so that your life challenges can provide the right outcome for your client. This alignment will stop you from attracting the wrong ideal clients so you can have more clients that just "get you" and don’t drain your energy. This will also help you know how to handle misaligned and aligned personal and business relationships that are less dramatic to you so you can focus on your soul's purpose. Weekly module videos to up-level your current wealth frequency and achieve your visibility, and impacting millions goals. These are designed to help you activate all of your gifts and explain how you connect with their major "clairs" /gifts, guides, master teachers, Galactic Council, grid work, and Source. Weekly and daily prompts to get into your multi-dimensional being. This will teach you discipline to get into alignment to your soul and business. In order for this to be transformational, you will learn how to do the inner and outer work to trust yourself and gain further confidence and clarity. Live 90-minute group calls to ask anything about your blueprints, soul alignment and spirit guide coaching (FOUR calls in total)! Two Live Group Blueprints Q&A calls to ask questions about your personal blueprints. Two Live Group Clearing and Activation calls to align you to your super power so you can expand further into alignment to your soul's purpose. You will also receive grid work recordings in Maui, which are streamed for you to manifest and expand yourself more! This is more of an activation program designed for those that are leaders at their core and want to step into BEing Source. Receive tools to up-level and expand your success and spiritual mindset: how to utilize your soul alignment blueprints, energetic signature, polarity, spiritual law, business strategy, leverage, automation, alignment to your super power, and manifesting blueprints. Most 8-week Group Programs can cost up to $5,000 just for this kind of level of support and transformation, but I'm offering complete support for less than HALF the price of other group programs!!! You don't want to miss this opportunity, as this price will go up soon! Not only am I intuitive, but I’ve learned business strategies from numerous high-level mentors, colleagues, and well-known entrepreneurs throughout my life and business. I want to share with you what I’ve learned through true authenticity and soul alignment, and the best ways to create rapid success using soul alignment, expansion, intuition, success and spiritual mindset, and manifestation. My goal is to create the sacred space for you to go through this transformational program. It will become a priceless lifestyle tool that you can come back to over and over again to Master Your Soul’s Gifts! "Wow, the clearings and soul alignment blueprints which have enabled me to move into my super power have been transformational! It's like the blinders have been taken off and I can actually see all the ways that I historically have given up my own power. Now, my presence in this world feels natural and easy. I have experienced amazing healing in communication and deeper understanding with my children, partner, and parents. I've struggled with MS for a few years and I now feel my energy has returned. I'm able to receive downloads of information for my soul purpose. Now, I feel everything is possible for me! Thank you Leimomi! I am so grateful!" "Wow, this is such an amazing experience! It's like I'm manifesting thoughts, taking action right away and doing it with super ease! I desire to be connected with my soul mate and run a multi-billion dollar coaching company and my soul is finally in alignment of trusting self and the process! Part of me wanted to slow down cause things were moving soooo fast! I have so much clarity and am finally speaking from my heart about what I want and not settling for LESS! I was feeling stuck, like I had nothing to offer and couldn't think of packages or receive any type of money flowing my way! In less than 24 hours, my soul created 12 packages and upped my prices on my current site! I also manifested me a traveling assistant which I was afraid to say I needed the help before. I am just in awe with the EASE of everything ! Thank you so much! 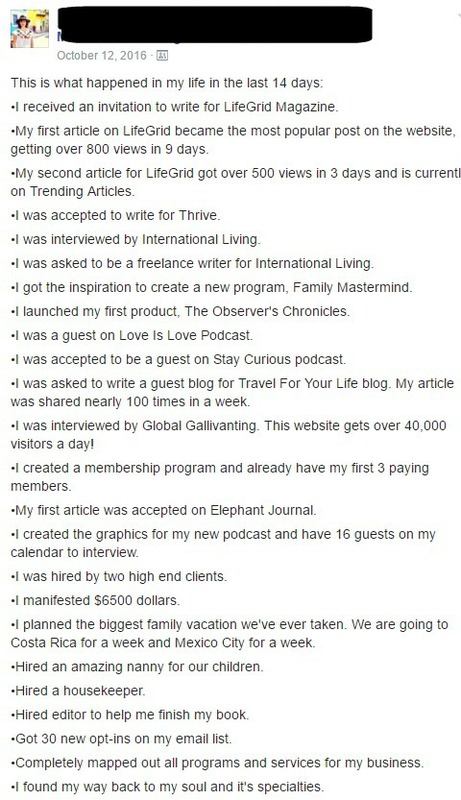 "After getting my blueprints, doing the VIP 8 week program I got SO much clarity, confidence & inner peace. I learned that for the past 8 years I was aligning to my creation life challenge, as oppose to power super power - which was the reason i wasn’t feeling well for the last couple of years. This was a huge wake up call & GIFT in my life! Since changing businesses and using this new information, clearings & meditations - I feel SO much better (& healthier)! Thank you so much, Leimomi!" "Getting my soul’s blueprint from Leimomi was one of the best investments I’ve made for both my business and my life. I knew I loved what I was doing, and was good at it, but it was feeling far too difficult to maintain and started feeling empty. I felt this intense calling to do “more” but what I was feeling called to do seemed so far removed from the life I’d been living. Finding out that I was a Power soul was like this incredible validation that I wasn’t crazy. I actually knew exactly what it was my soul was yearning for but didn’t have the confidence to listen to. The 8 week program has been so helpful in creating a deeper understanding of how to move more into alignment with my soul’s purpose, moving out of struggle and confusion working from my life challenges of Love and into alignment with my Power super power. I am so excited for the massive growth and shifts happening in my life and business and the relief at finally having clarity." Aloha! Are you ready to take soul aligned action? Just select your payment option and click the "Purchase Offer" button at the top right corner of this page and let's get started! If you have any questions, send me a message in my FREE Soul Alignment Leaders for Conscious Living Facebook group, or send me an email at [email protected]. I can’t wait to see you skyrocket into your spiritual divine mission in no time!!! There are also no guarantees that you will have any specific results or manifestations during the time frame of the program. It's all about doing the work and experimenting that will yield your results. This is a "soul aligned" journey that will begin as you learn this Mastering Your Soul’s Gifts Program™.